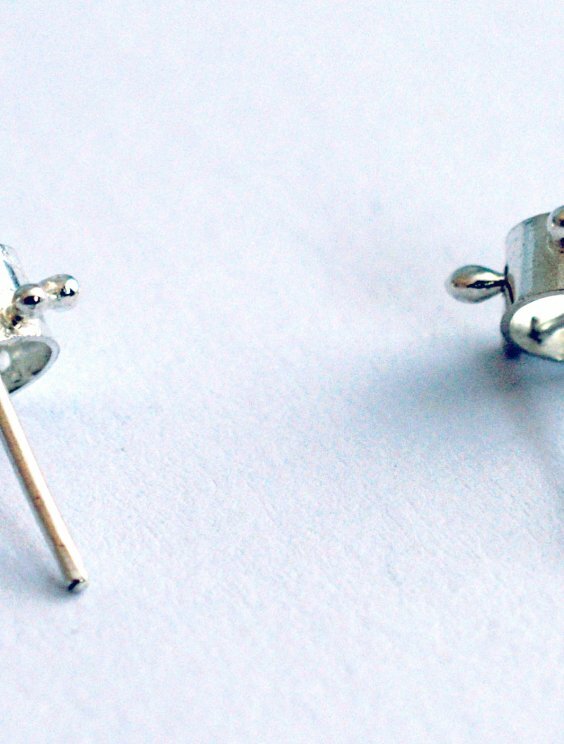 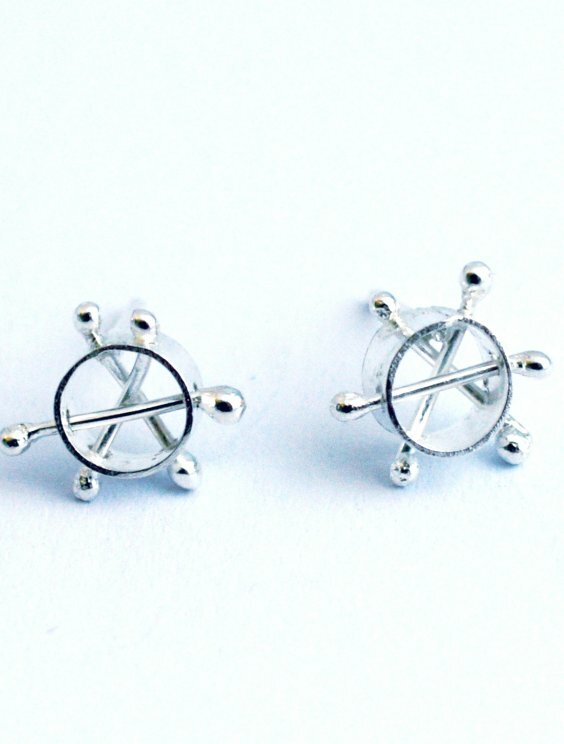 The sweet jingle of these kinetic studs will uplift your mood anytime. 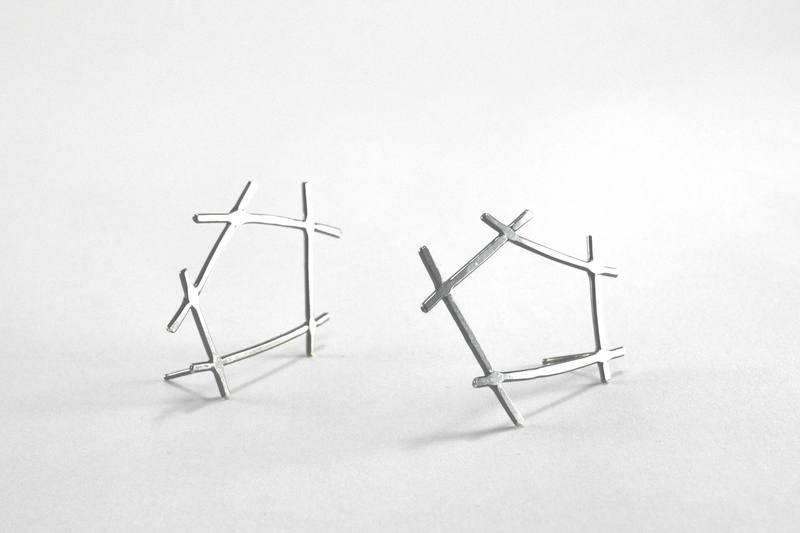 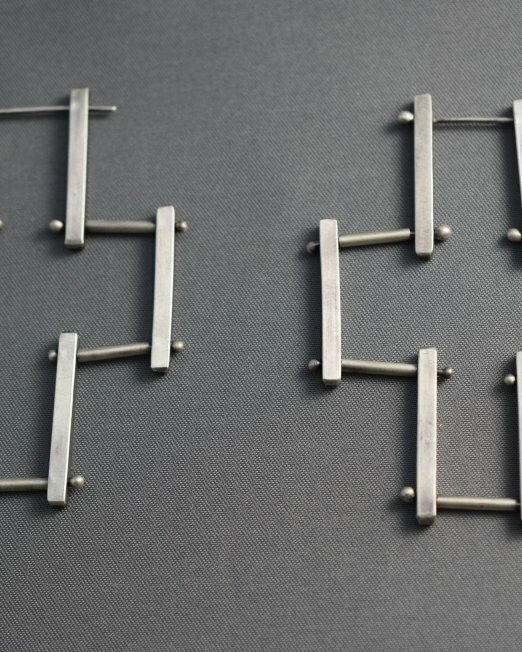 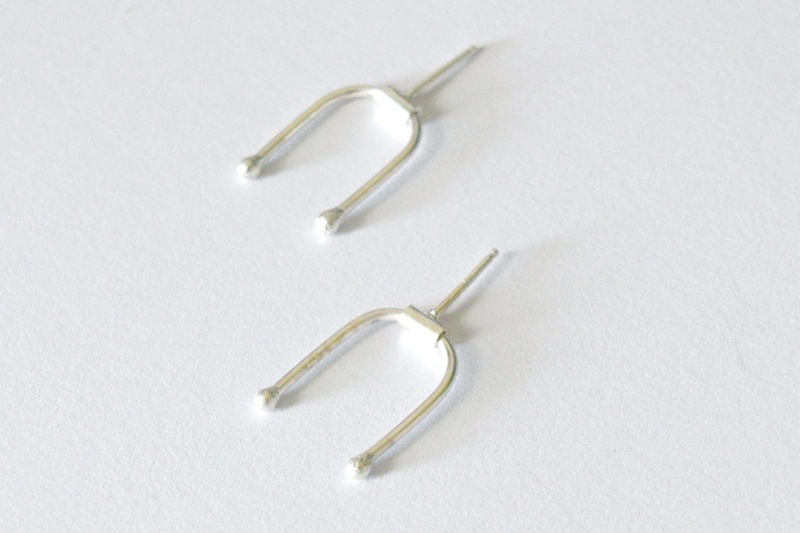 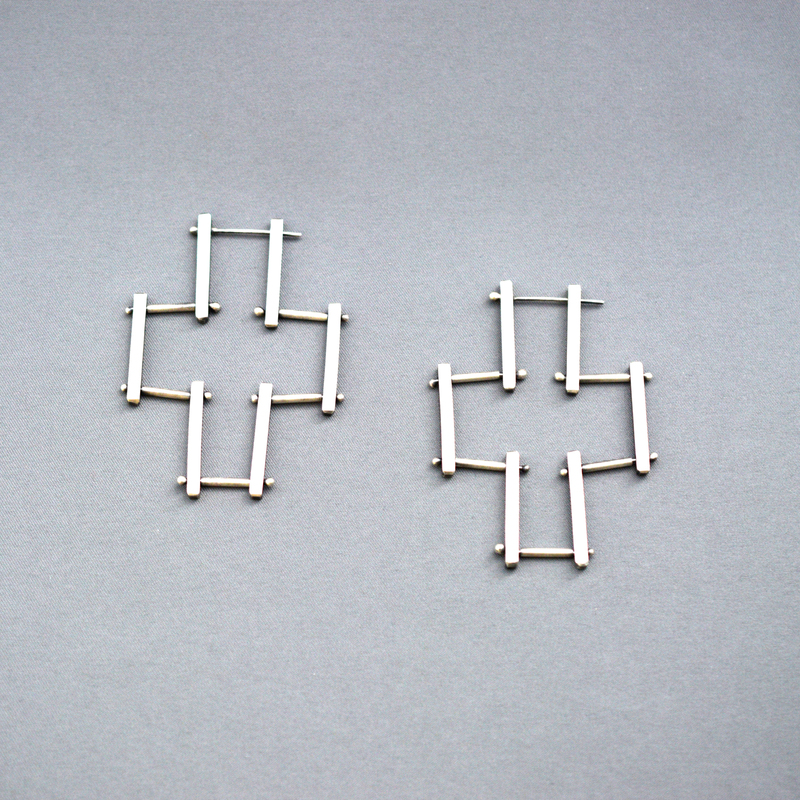 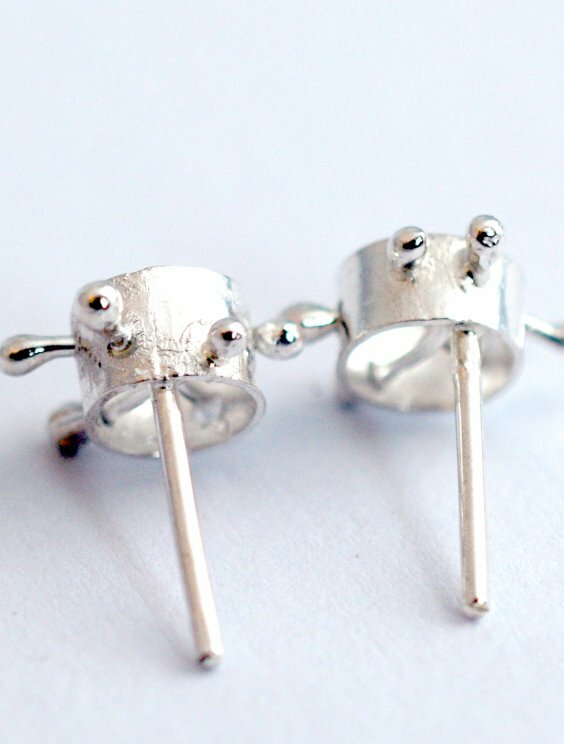 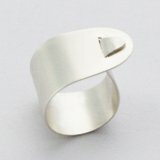 Inspired by industrial designs, these studs feature criss crossing wires inscribed within a short silver tube. 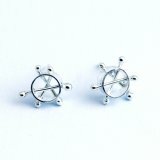 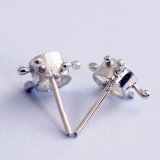 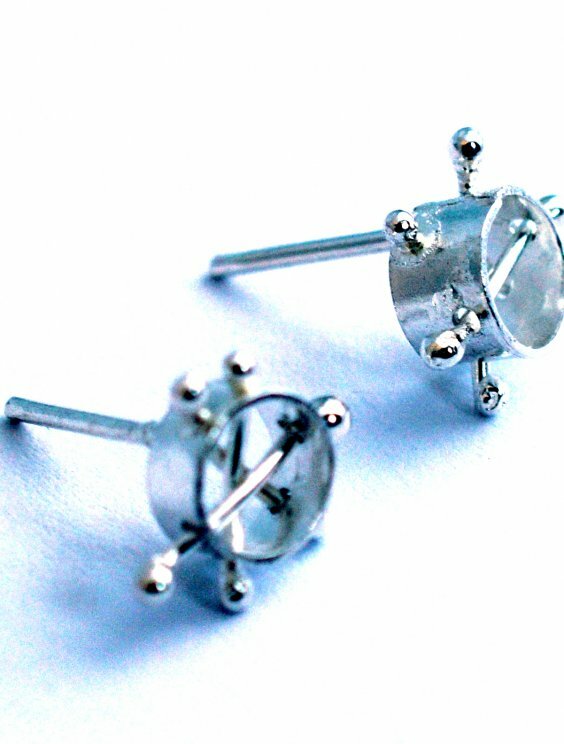 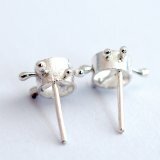 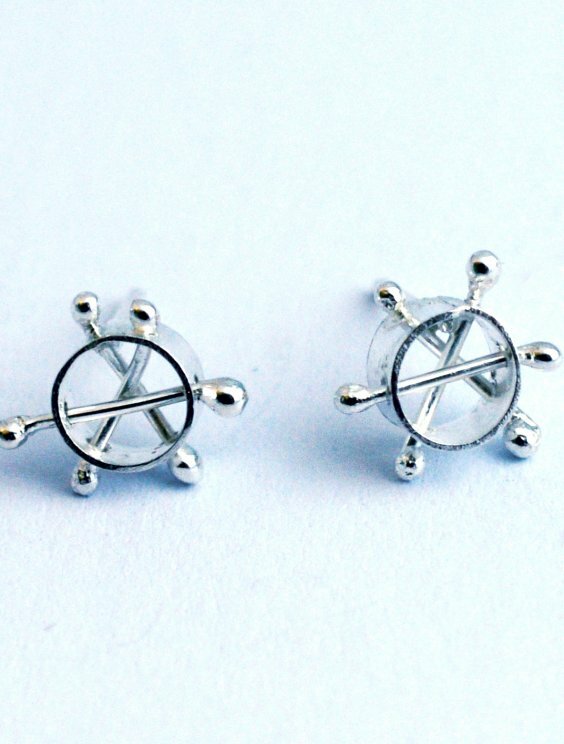 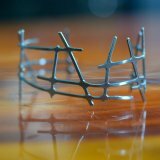 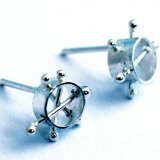 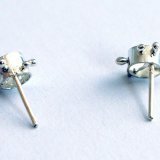 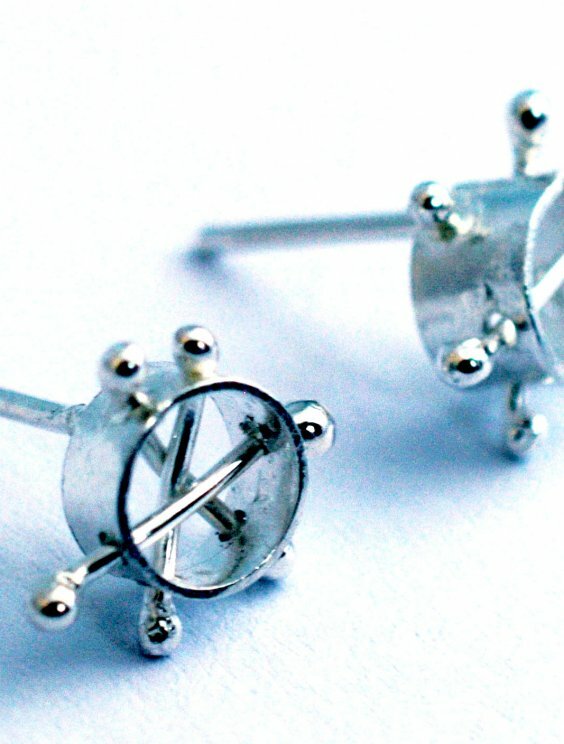 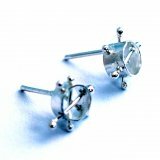 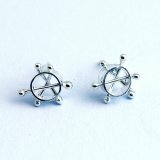 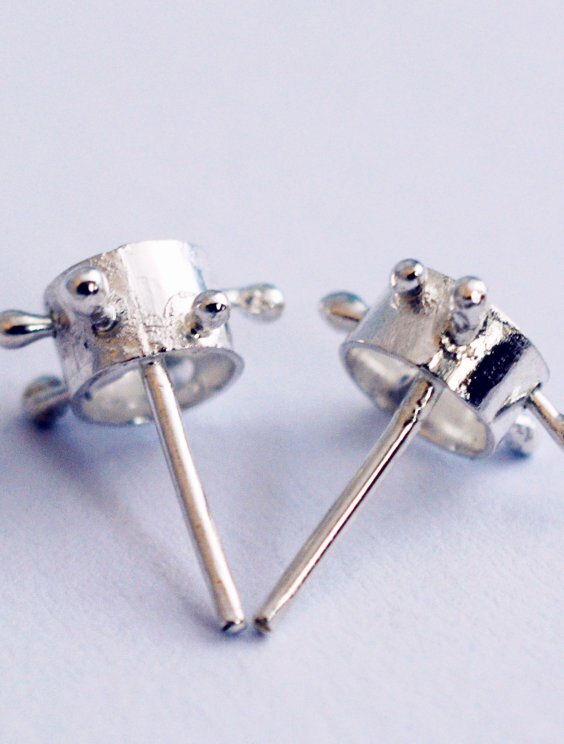 The ends of the wires are secured with silver balls creating an interesting pair of studs that are comfy but get many compliments and attention. 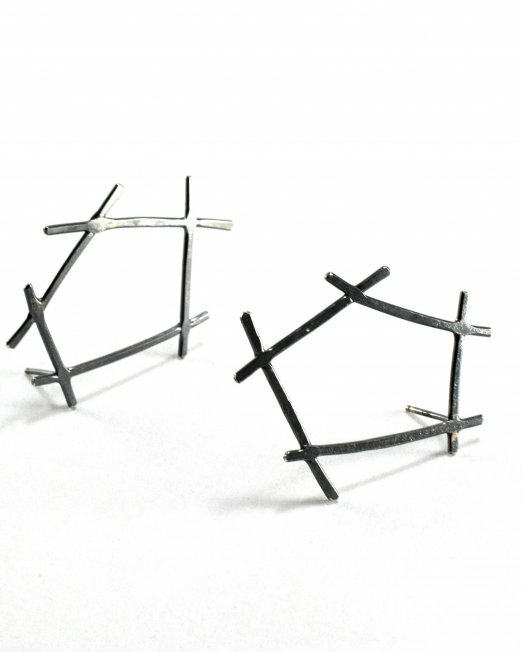 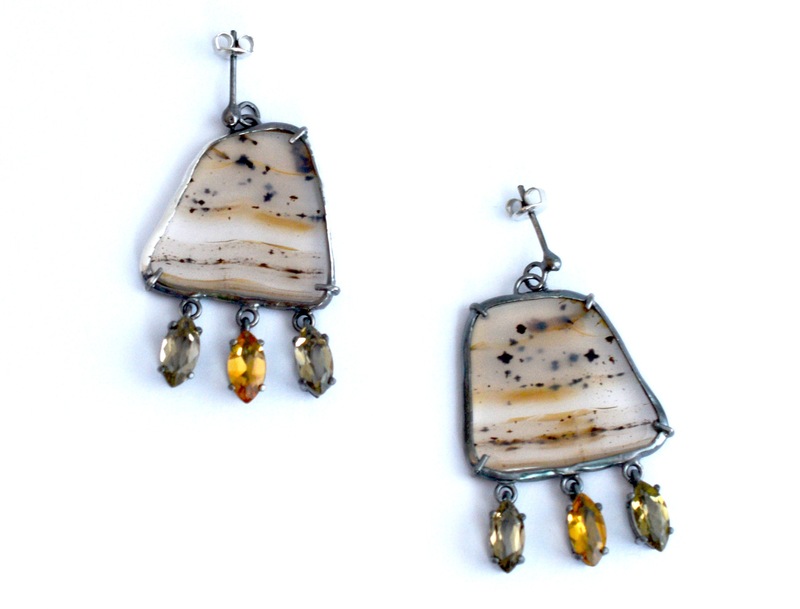 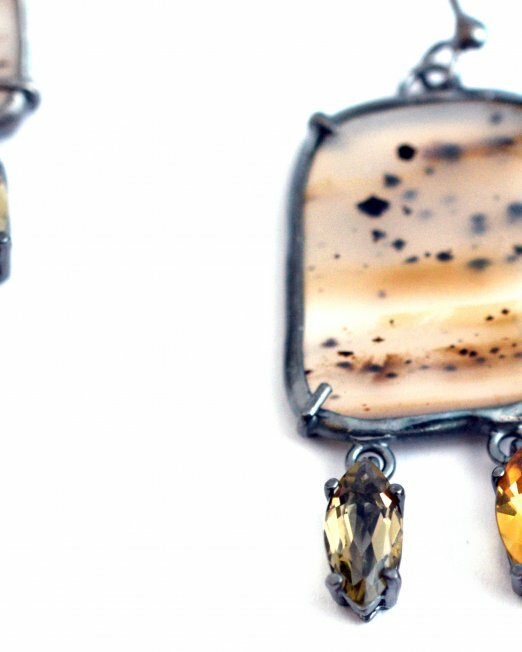 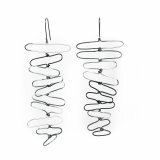 The little criss-cross wires are kinetic and the earring makes a pleasant subtle jingle sound when touched. 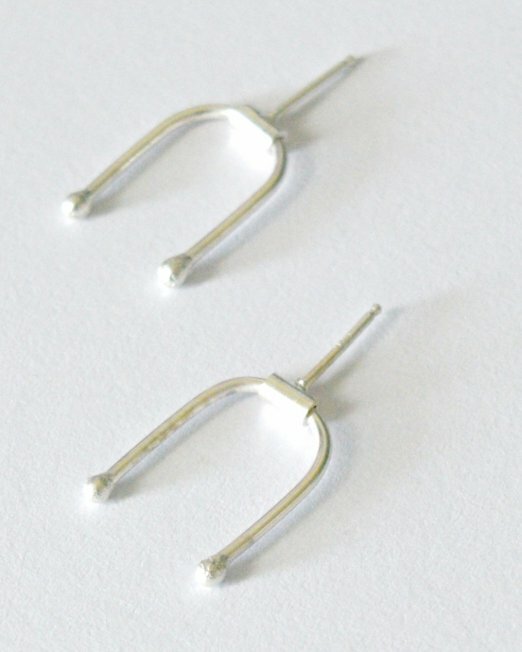 It’s the little things right?